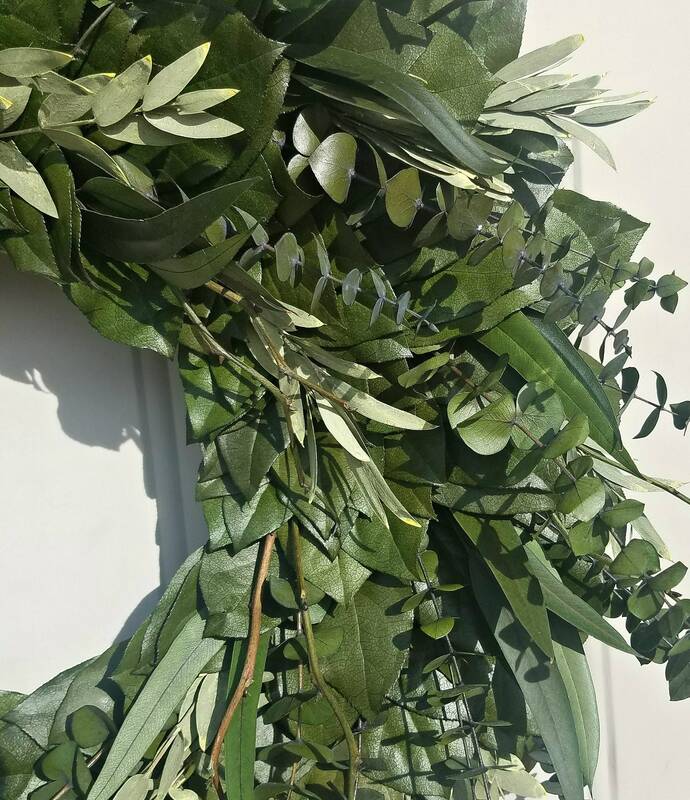 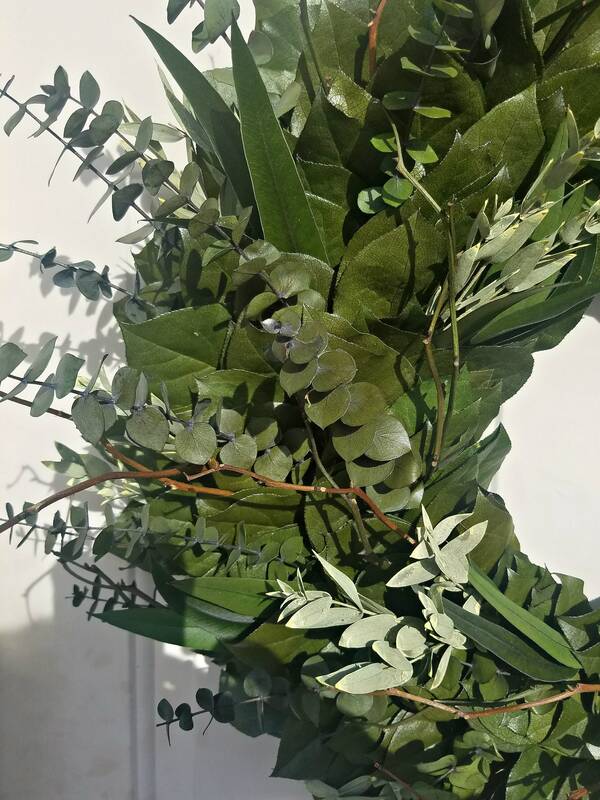 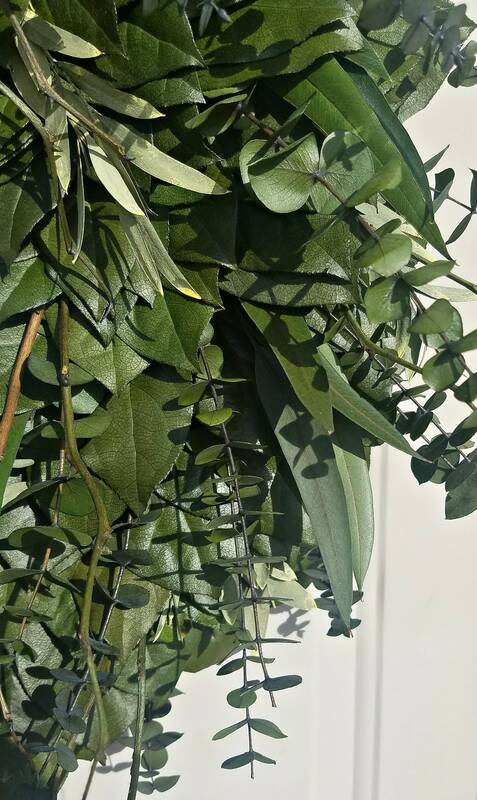 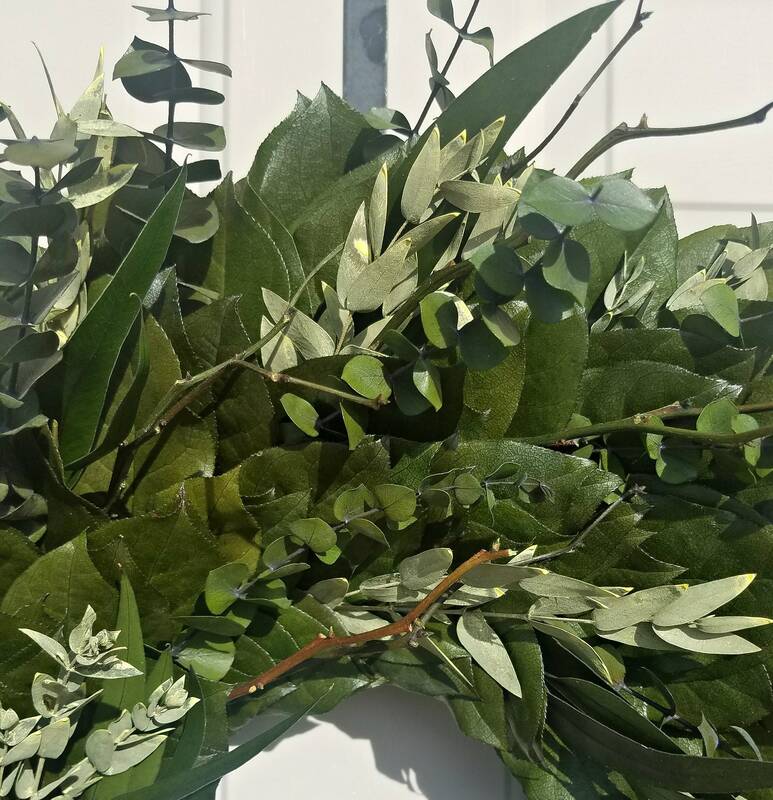 Preserved eucalyptus wreath is handmade using preserved chartreuse teardrop eucalyptus, green colored salal leaves, olive green spiral eucalyptus, willow leaves, and salal branches. 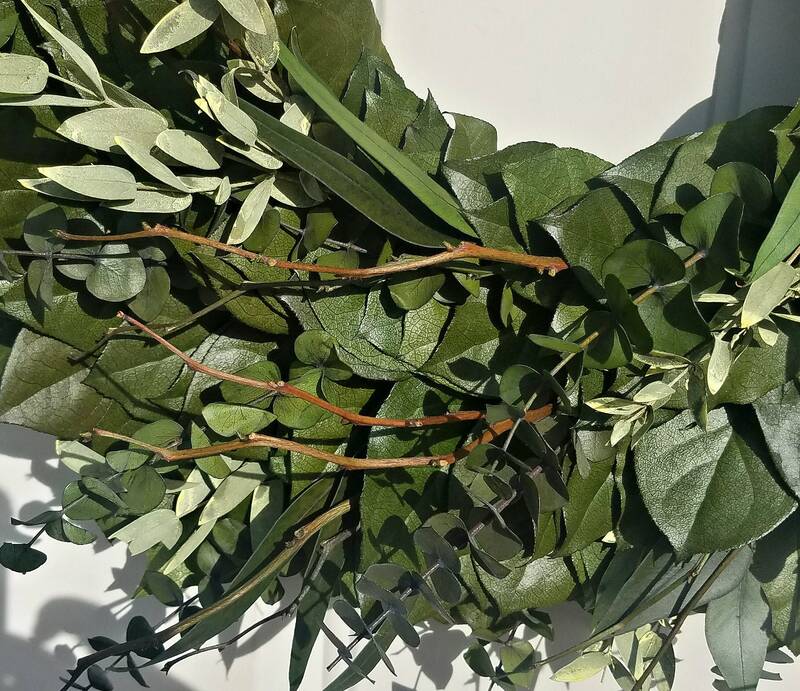 The foliage has been preserved and will stay fresh looking for years if kept out of direct sun. 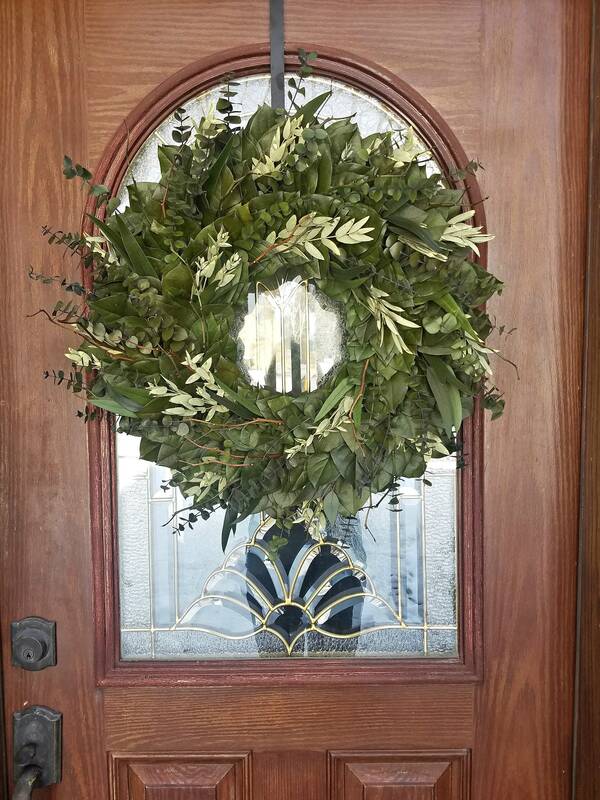 When choosing a wreath size I recommend a 20-24 inch if this is to be used on a door. 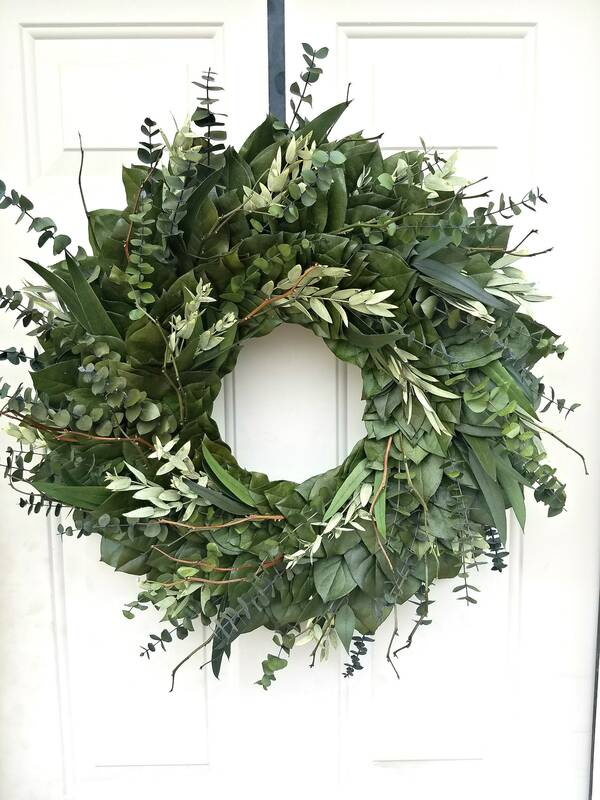 Diameter noted in this listing is the size of the finished product tip to tip. 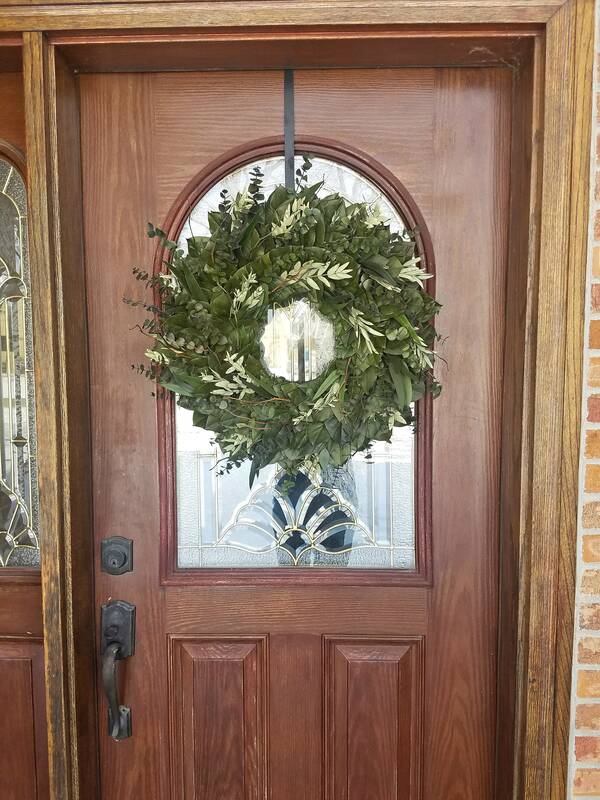 Wreath is made on a Styrofoam base which has been reinforced and wrapped with floral ribbon. 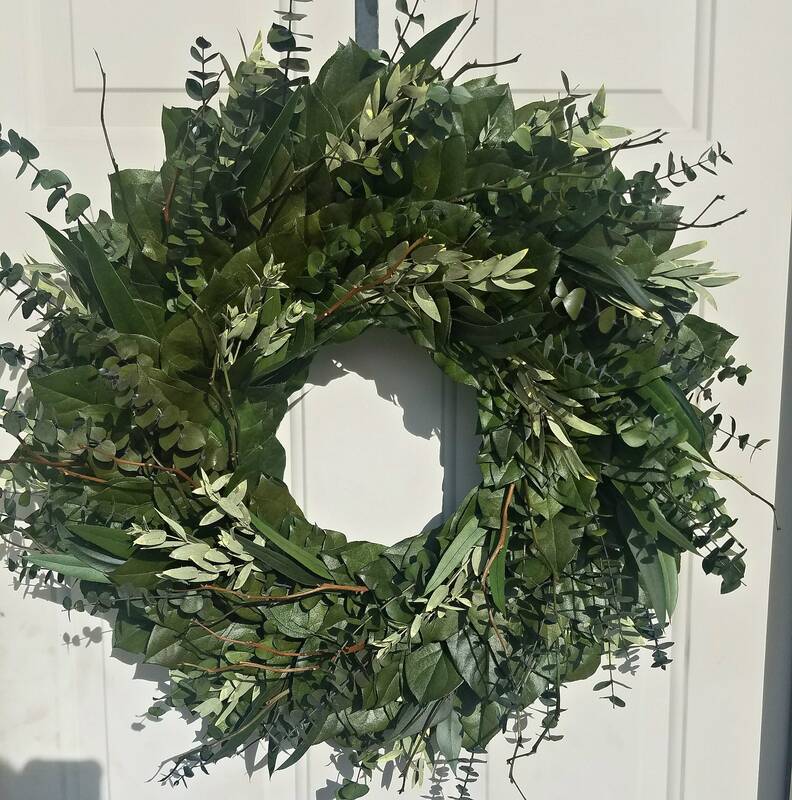 This wreath is made on a Styrofoam base.